Isabella was the eldest daughter of King Edward III of England and Queen Philippa. She was the favorite daughter of her parents and grew up to be conceited and overindulged if not downright spoiled. One would think it would be easy to find a glittering and politically important marriage for the eldest daughter of the king of England. But for some reason this would not be the case for Isabella. Born in 1332, Isabella shared a household with her elder brother Edward, later known as the Black Prince, and her younger sister Joan. 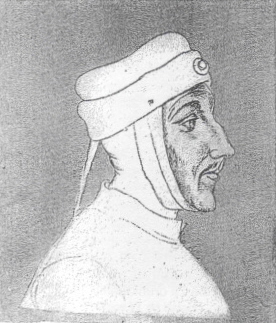 A match with Pedro, known later as Pedro the Cruel and the eldest son of the King of Castile was discussed in the summer of 1335. For unknown reasons, Isabella was replaced by her sister Joan in the negotiations. Simultaneously, King Edward was seeking alliances in the Low Countries to augment the trade of English wool to the skilled, expert weavers in the area. By 1338, Isabella was substituted for Joan in talks of a marriage with the count of Flanders’ son Louis, later known as Louis de Male. But the count of Flanders would proclaim his allegiance to the Valois king of France and the talks were abandoned. The next match Edward III considered was with the heir of the duke of Brabant, a duchy also located in the Low Countries. Since the future groom and Isabella were both descendants of King Edward I of England, a papal dispensation was requested in 1344. 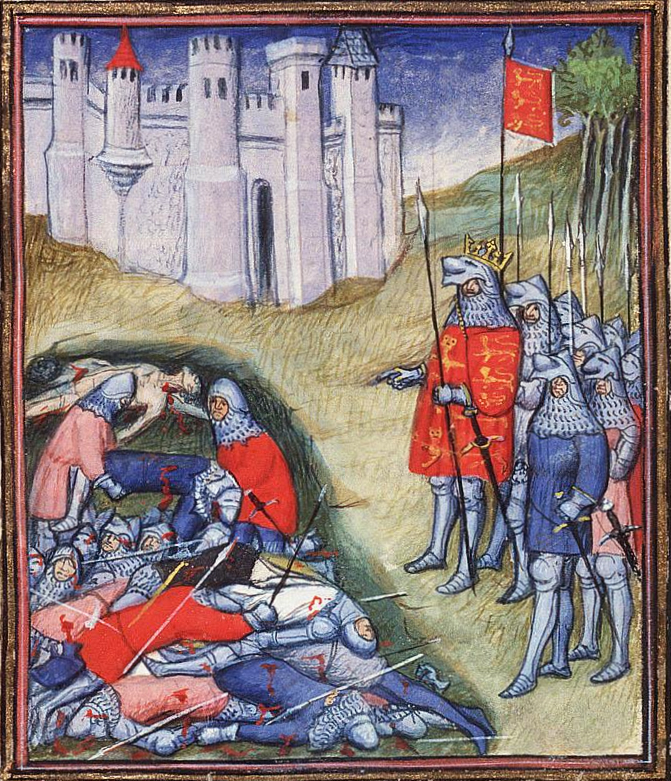 While awaiting the release of the paperwork, the count of Flanders was killed in the Battle of Crécy and the Flemish marriage was once again considered. The new count, Louis de Male was actually averse to the English marriage for several reasons but mostly because he blamed King Edward for the death of his father. But Louis’ subjects were enthusiastic to foster the alliance with England which would bolster trade and help their economy prosper. They kept Louis as a virtual prisoner and watched him closely, worried he might escape to France. In 1346, King Edward III was besieging Calais and had built a temporary town outside its walls. He summoned Queen Philippa and her eldest and youngest daughters to come and they arrived with a large train of ladies in November. Louis de Male was still kept under restraint by his subjects and remained obdurate regarding the match. The English celebrated Christmas and finally, near the end of winter, Louis informed his burghers he had resolved himself to the marriage with Isabella. His subjects were overjoyed and a meeting was agreed upon for March 1 at the Abbey of St. Vinoc at Bergues, near Dunkirk. Louis arrived with his burghers and King Edward pulled him aside and assured him he was not personally responsible for his father’s death, that he only desired his father’s friendship and was most aggrieved when he heard his father’s name was among the fallen at the Crécy. Edward offered to build a church, a hospital and a monastery in his father’s memory to demonstrate his warm-heartedness towards Louis. Louis appeared to be satisfied with this seemingly affectionate and sincere apology and the discussions turned to the dowry. Isabella was to receive £25,000 worth of Flanders money as yearly rent until the possession of Ponthieu was obtained. Another four hundred thousand deniers were to be paid according to terms written into the contract. Isabella and Louis kneeled together at the altar of the abbey church and spoke the vows of betrothal. Louis promised to finalize the marriage before the church a fortnight after Easter which was on April 9 in 1347. Both parties parted ways to begin preparations for the magnificent wedding. But Louis had no intention of marrying Isabella and was looking for a way out. He had promised his father and the King of France he would marry Margaret of Brabant. Louis was still being served and guarded but due to the ostensible reconciliation with the English, he relaxed the vigilance of his attendants. He kept a few faithful people around him whenever he went out but found his chances for escape were not as easy as he had hoped. Time passed until there was one week before the wedding. That morning, he expressed his wish to fly falcons by the river and set out followed by a handful of attendants. A heron rose up and Louis galloped forward, shouting with excitement and appearing to the others as if his only mission was to capture his quarry. The attendants stayed back to give Louis alone all the glory of the chase. As they watched, he rode on and on, inciting his horse to go faster with his spurs. Finally, it became clear Louis had a more substantial purpose in mind and it was too late to overtake him. The heron was abandoned and Louis headed straight for Artois, never dropping his reins until he was over the French border. Louis’ Flemish burghers were furious. They feared King Edward would blame them and withdraw the English wool trade. All this worked in Edward’s favor as the burghers labored to raise a huge army of men to fight for him. He had no intention of going to war with the Low Countries. Isabella on the other hand was publically humiliated by the unexpected jilting. 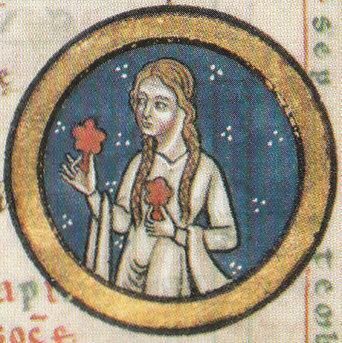 She swore to never betray her solemn betrothal vows, that she was in truth the Countess of Flanders and she intended to bear the Flemish arms until the day she died. But her pique did not last long. Her parents treated her most kindly, raising her allowance and giving her more ladies-in-waiting. She returned to England and threw herself into enjoying tournaments, hunting and festivities. Louis did indeed marry Margaret of Brabant as he had promised his father. In 1349, Isabella was offered as a bride to Charles IV of Bohemia, king of the Romans but nothing came of the negotiations. In 1351, King Edward finalized the agreement for a marriage to Bernard, heir of Bernard Ezi, sieur d’Albret, a loyal Gascon supporter. On November 15, five ships were at the ready to sail with Isabella to Gascony. But on the beach, Isabella drew back and refused to board ship. The marriage was called off. Isabella remained a fixture at the English court until 1365. On July 27, at the age of thirty-three, she married Enguerrand de Coucy, one of the hostages taken as part of the treaty of Brétigny. Coucy would be made earl of Bedford in 1366 making Isabella countess. Isabella had two daughters with Coucy and traveled back and forth with him between England and France. After Coucy went to Italy to fight in 1368, the couple would spend little time together although they stayed devoted to one another. When Isabella died in May of 1379, Enguerrand de Coucy erected a statue in her image next to his own statue in his Celestine church in Soissons. Isabella was fortunate her sister Joan replaced her in the Castilian parley. Joan never married the cruel king, being one of England’s earliest Plague victims. She had been sent to one of the Black Prince’s castles in southern France in preparation for the nuptials. It was there that she and most of her retinue and a great swathe of the population began falling to the terrifying disease. Better jilted than dead. Their brother, Lancaster, ended up marrying the daughter of Pedro the Cruel, who had no trouble finding another wife. It was said to have been an unhappy union. Isabella dodged a bullet (or better, a crossbow bolt) there. Susan, Just one more wonderfully done bit of history Another little gem. Great work. But the story about Louis and the Heron was too rich. It made me chuckle. Its like that sorry old joke, about a husband who one day went out for a pack of cigarettes, and never came back. I thought, what? They were pulling that stunt back in t he 14th century? Cheers, Rian. I’ll add my voice to the opinions that this would make an excellent film – I’ve thought so since reading A Distant Mirror by Tuchman (which I cannot recommend enough) a few years ago. It would seem Isabella had to toughen up to endure the gossip at court that must of surrounded her failed proposals. Maybe she was so hurt by Louis de Male so left it out on Charles lV. Nevertheless, because she married so late for that era did she have any lovers or relationships during her single years? Yes, absolutely fascinating! I think you need to start putting feelers out for potential leading actors. Any suggestions for the starring role? What a fascinating story! I agree with a previous commenter, that it would make a wonderful film. What an interesting piece. I don’t know whether to feel sorry for her or happy. She stood her ground when she didn’t want to be married. Sorry because so many of the plans to marry her off didn’t materialize. So many of the royal ladies had multiple spouses, she had multiple marriage opportunities that didn’t work. At least the final one worked. I hope she was content in her life. What a story! It would make a good comedy movie.